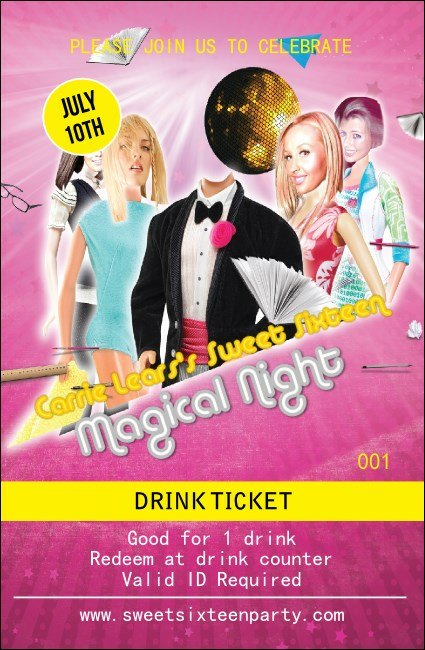 Sweeten the deal for all the guests at your sweet sixteen birthday bash when you give them cool Birthday Party Drink Tickets. Make your event pop with these bubble gum pink ticket templates that feature a fun, teenybopper background design and sequential numbering for better event security. Find the right ticket for your young lady at TicketPrinting.com.